Shown here is another of our one of a kind Kershaw Leek knife mods. We start with a Kershaw Leek with a black anodized aluminum handle and a stonewashed blade. 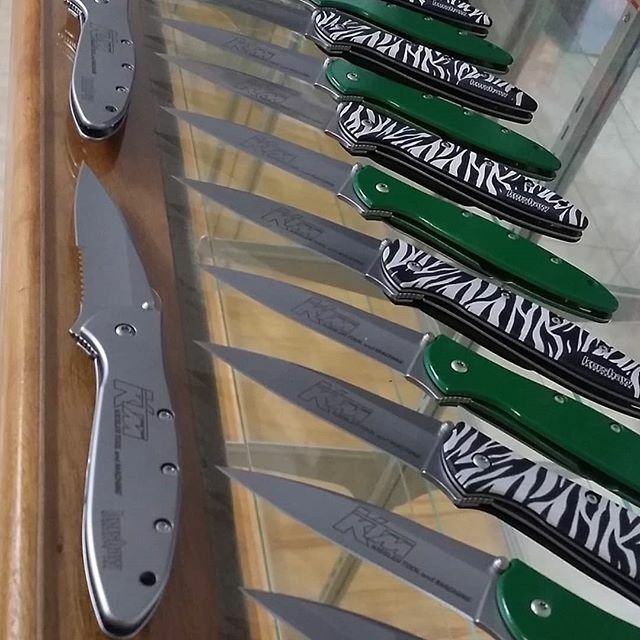 the handle is disassembled from the knife and engraved in our laser engraving machine with a one of a kind Zebra pattern. The Kershaw writing on the handle is covered so it is perserved and unaffected by the engraving process. After we reassemble the knife the end result is a totally cool looking Kershaw Leek with a safari feel to it. 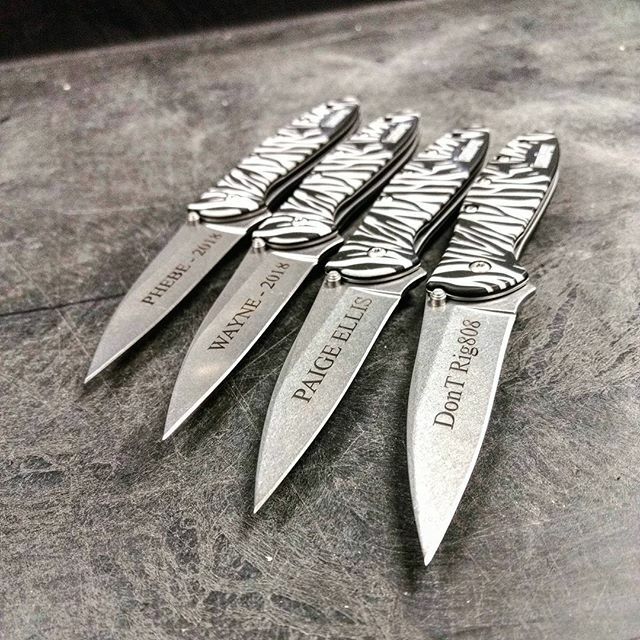 Due to how we mod these knives, no one knife is the same as another. Each knife is unique. 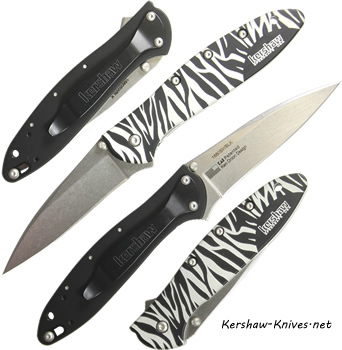 The Kershaw Leek knife with zebra handle!